When SwindonWeb recieved this e-mail from Terri Sims in Oklahoma, USA in October 2000 we were naturally delighted to help. I am Terri, a 41 year old American female, living in the USA. I was born in Swindon and moved to the USA at age of 2. I have not been able to return for a visit and would very much love to do so. 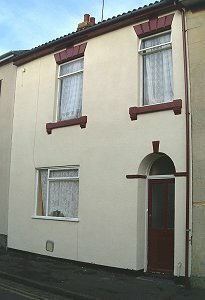 I am very curious to know as much as I can about my birthplace. I was born at # 8 East Street. Is this still a residence? 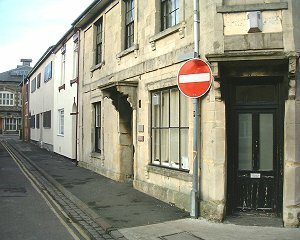 Is it in old or new Swindon? Is there anything with pictures of the town that you could mail to me? I would so appreciate any correspondence you would share with me. I truly have a deep fondness for my unseen birthplace. 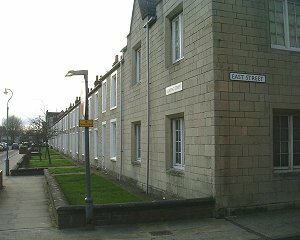 East Street and most importantly No 8, her birthplace. When we told Terri that not only could we confirm that No 8 East Street still exists but we had taken some photos and put together this page for her she was simply overjoyed at the news. 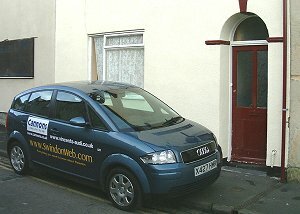 Terri would dearly love to visit Swindon and find out more about her beloved birthplace - with SwindonWeb we brought it to her! 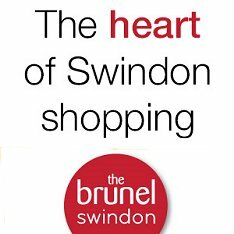 If you or anyone you know has a connection with Swindon and you think we might be able to help find something for them then send us an e-mail and we'll do all we can.